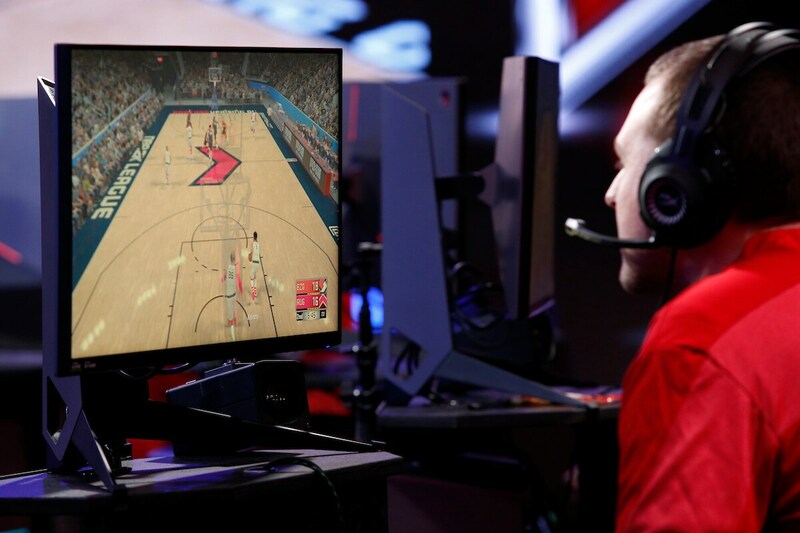 Raptors Uprising GC began their 2018 campaign with three games on Thursday in the NBA 2K League TIPOFF tournament. Uprising GC went 1-2 in the group stage, which was unfortunately not enough to qualify for the playoff round. Uprising played their inaugural game against Magic Gaming. Point Guard Kenny scored the first basket in team history with a strong drive and finish off the glass with his left. The performer of game one was the hometown kid, Center Yusuf_Scarbz. Yusuf went to work down low scoring a team-high 28 points and picking up 15 boards. The Raps took game one by a score of 68-51. “In game 1 we came out a bit shaky, due to the nerves of playing on the biggest stage of our lives, no doubt, but settled into our game in the 2nd half,” said Talbot. The second game of the day pitted the Raptors against 76ers GC. Uprising struggled early and ultimately couldn’t make up the deficit falling 70-57. Raptors Uprising went into the final match of the day needing a win over the undefeated Blazer5 Gaming. The Raptors came out early going shot for shot with the high-powered Blazer5 offense. 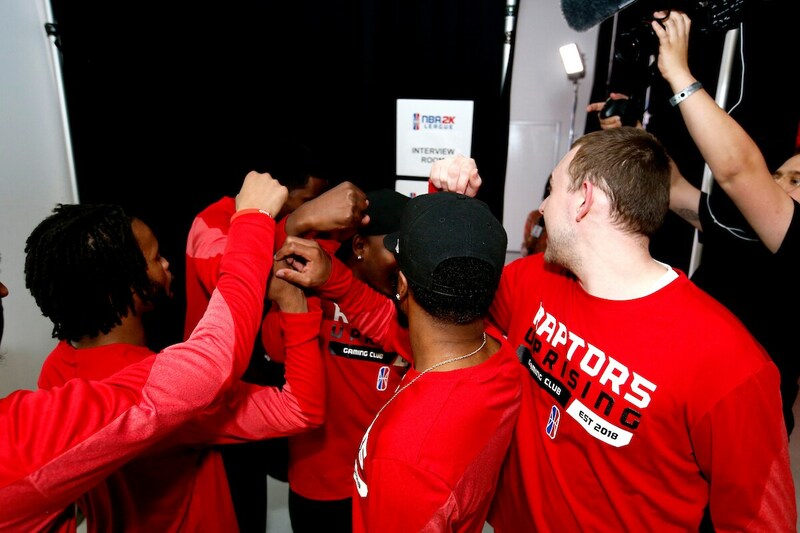 It was a nail-biter of a game and the Raps ended up with the ball with 11.8 seconds left, down two points, the game in their hands. After a timeout, the Raps set play was broken up and a loose ball was picked up by Detoxys who called a timeout with 3.6 left. However, the Raptors were called for an illegal screen before the ball was inbounded which sealed the game for Blazer5. Raptors Uprising’s fate was now in the hands of Magic Gaming who needed a win against 76ers GC in the final match of the group. Heartbreakingly, Magic Gaming was knocked off by a last minute three, sealing the Raptors fate. Raptors Uprising GC will now spend the week back home in the 6ix preparing for their regular season opener next weekend. Be sure to follow on Twitter, IG, and Twitch to keep up with the team.